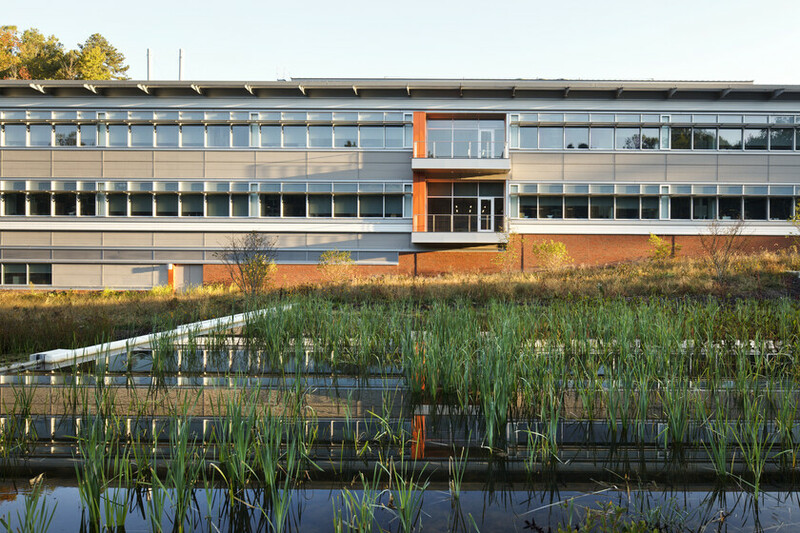 An abundance of daylight, coupled with passive design strategies and efficient systems, makes this twenty-first century lab building a comfortable and inspiring place for researchers and visitors while protecting the surrounding marine ecology. 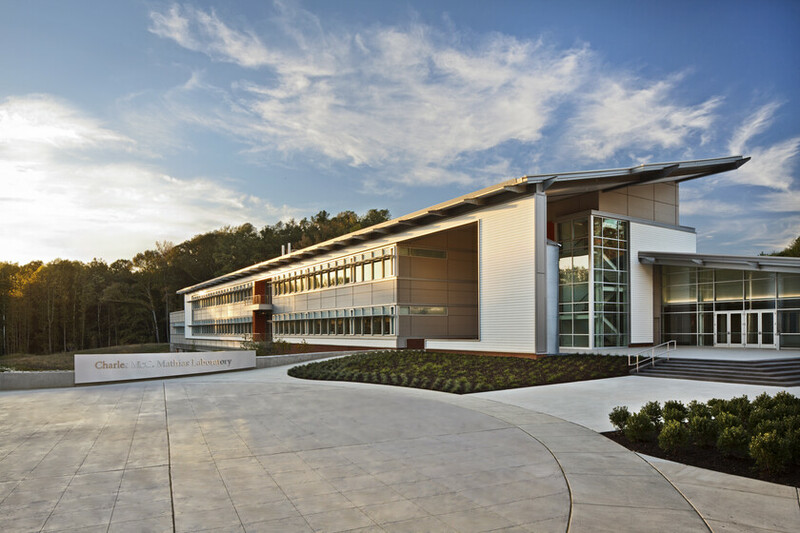 The Mathias Lab at the Smithsonian Environmental Research Center, located on the banks of the Chesapeake Bay, is a new state-of-the art, high-performance research institution targeting a minimum of LEED Gold. The 92,000 sq ft building includes new office and lab space in addition to a 23,000 sq ft renovation of the existing office space. 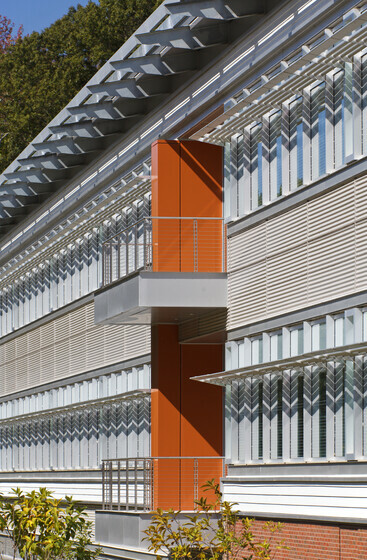 Atelier Ten’s building-level energy analysis tested various energy-efficiency strategies within the EPA Labs 21 protocol, specifically the merits of a geo-exchange well-field, on-site photovoltaics, and a solar thermal array to supplement domestic hot water use. 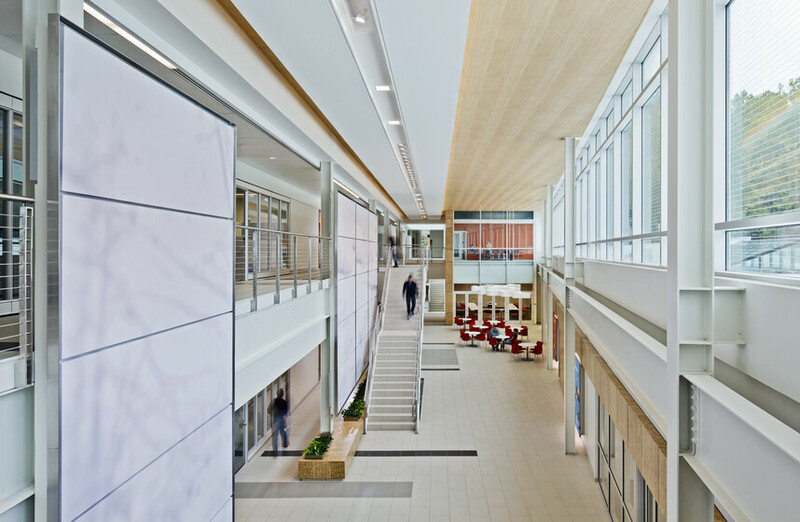 In addition, our team completed a daylight analysis of the atrium space that led to the façade glazing selection and provided concept level lighting strategies for a thermally and visually comfortable indoor environment for all building occupants. This leading research institute, which focuses on global climate change of coastal environments, is now one of the greenest buildings within the Smithsonian Institute portfolio.